Building and installing a residential elevator into a residential property is a long-term investment that can provide numerous benefits to homeowners in Baltimore, MD like luxury, safety, value, and accessibility. Residential Elevators is a family-owned company providing professional elevator installation and maintenance services to residents in the Baltimore, MD area. Our team can facilitate the entire installation and building process through design, permit retrieval, and construction. The home elevator experts at Residential Elevators can offer residents in Baltimore, MD superior design, craftsmanship and installation services. The home elevators at Residential Elevators can help to facilitate the comfort and safety of residents through their automated controls and safety features. Features like automatic homing, lowering and lighting are available to further automate your home elevator. We also provide additional options like an oversize cab and an 8-foot cab height to comfortably fit all occupants regardless of weight or height. Our in-home elevators can greatly improve the quality of life of elderly or physically disabled family members and give peace of mind by removing the risk of them falling down the stairs and getting seriously injured. Having a home elevator also allows residents to stay in their homes as they get older and when climbing up and down the stairs is no longer a viable option. 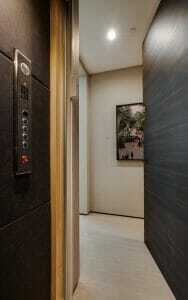 A home elevator can greatly increase the value of your property. If homeowners eventually decide to sell their home, a residential elevator can attract a larger amount of buyers who are looking to purchase homes with elevators. This demand for in-home elevators will allow property owners to ultimately increase the asking price of the property, helping them to get a greater return on their investment. When a residential property is built with one of our in-home elevators, our state-of-the-art technology allows a home elevator application without the need for a machine room, saving the square footage of your home. If a property has already been built, the elevator experts at Residential Elevators can easily design an elevator to fit in seamlessly within the property. Through our technology, we are able to provide the highest level of safety to homeowners with every home elevator installation. Our photoelectric landing system is responsible for floor leveling accuracy and communicates the location of the elevator to the main control system. We also offer infrared protection, an optional advanced technology feature that uses over 200 infrared beams to provide an additional safety feature and peace of mind. If the power goes out while the elevator is in motion, our backup battery system lets the elevator safely go to the nearest floor while keeping all of the other safety features intact so the passengers can exit. At Residential Elevators, we know that purchasing and installing a home elevator is a major financial decision and long-term investment. That is why we work closely with our clients to create their dream in-home elevator. Our Manufacturers Representatives can provide many different options that allow homeowners to customize and personalize their home elevator. At Residential Elevators, we offer two home elevator types, our Luxury Lift Hydraulic elevator and our Luxury Lift Traction elevator. Our team of qualified representatives is available to answer any questions you may have when it comes to building and installing the perfect in-home elevator. We work closely with homeowners to understand their home elevator needs and find the perfect solution. We will handle the entire process, taking you from concept to completion.  If you are currently living in Baltimore, MD and are interested in installing a home elevator onto your residential property, then give the elevator experts at Residential Elevators a call at 800-832-2004 to learn more or receive a quote.